Muscular is the apt adjective to describe NOVA Chamber Music Series’ next concert which pairs two of Beethoven’s most compact chamber ensemble works with a dazzling micro-concerto for percussionist and the premiere of a new piece by Utah composer Morris Rosenzweig, made possible by the Chamber Music America classical commissioning program. The four works comprise a compelling case for musical economy – virtuosic and sonic strength in small numbers that replicates convincingly the impact sought after in much larger ensemble pieces. The Micro-Concerto program continues NOVA’s 40th anniversary season and will take place Feb.25 at 3 p.m. in the Libby Gardner Concert Hall in The University of Utah’s School of Music. 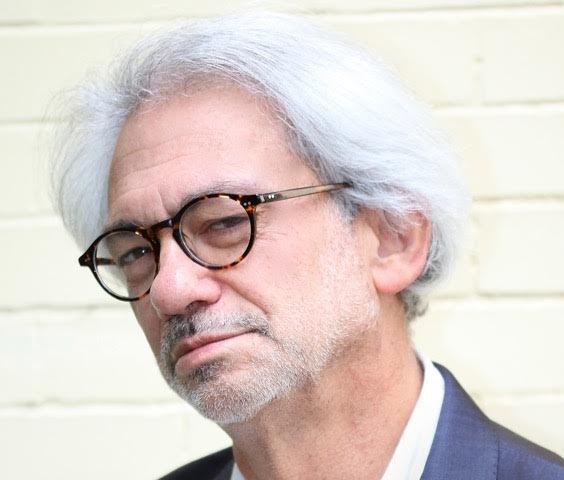 Rosenzweig, distinguished professor of music at The University of Utah, composed ….snip, snip…., a 15-minute work in six movements scored for a seven-member chamber ensemble. The work will feature the Ulysses Quartet of the Louie Moreau Institute for New Music in New Orleans, along with Jason Hardink (piano), Katie Porter (clarinet), and Stephen Proser (horn). The composer, a New Orleans native whose family lineage includes many skilled tailors, incorporates metaphorical parallels to his heritage, as he synthesizes and brings in elements of the ever-widening musical vocabulary he has engaged with as a composer. The work’s momentum shifts pace quickly, starting as he describes it in an interview with The Utah Review, as “slow and lyrical,” followed by a very fast allegro and scherzo, and then the last half transitions from an allegro to a nocturne and then, finally, a conclusion that resembles a two-step dance. “At first, the snips are animated, maybe even cartoonish, but then these snips of musical ideas become warmer in the conversation between the musicians and then patterns and fine machinery work emerge,” he explains. This is the second commissioned work Rosenzweig has composed for NOVA that coincides with a major anniversary. Ten years ago, he composed reprise, an eight-minute piece that whirls by in seven movements that was partly inspired by his love for the films of Federico Fellini and the cinematic scores of Nino Rota. Rosenzweig’s music has appeared periodically on NOVA programs over the last 30 years. His works, which comprise a definitively Modernist catalogue that champions the plurality of different musical languages, idioms and vocabularies, have been presented throughout the United States, as well as in numerous international venues. These include Denmark, Sweden, Holland, France, Germany, Japan, Argentina, Mexico and Israel. He says the level of Utah musicians has “developed and evolved significantly over the period,” thanks to University of Utah opportunities for interactions and performances with programs such as the Abravanel Visiting Distinguished Composers Series (which he directs) and the Canyonlands New Music Ensemble. “Compared to 1987, it really has changed how so many musicians have stretched themselves to play new music that demands and challenges rigorously,” he adds. 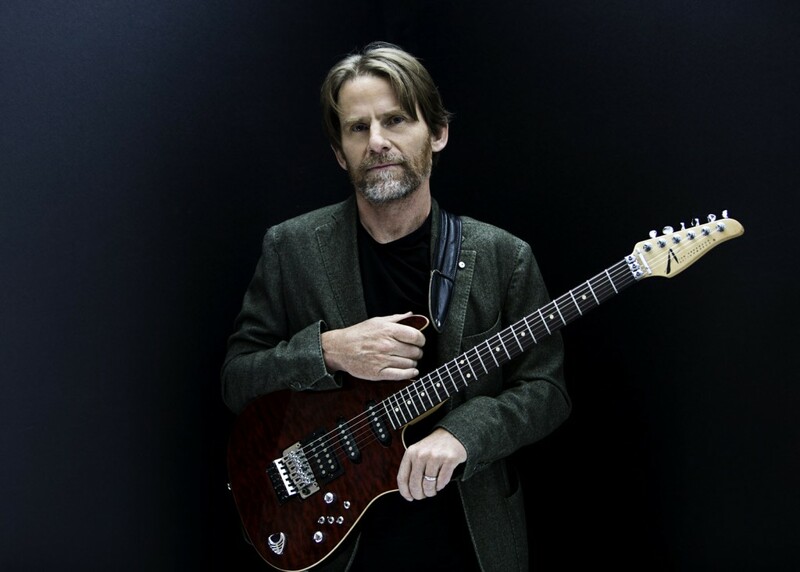 A good example that also will be featured on the concert is Steven Mackey’s Micro-Concerto, featuring Keith Carrick, Utah Symphony’s principal percussionist, as soloist. Composed in 1999, it is a virtuosic master class not only for the soloist, who plays bona fide percussion instruments along with toys and kitchen utensils, but also for the accompanying instrumentalists. In his own notes, Mackey wrote, “I’m fascinated by the one-man band mentality of juggling contrasting timbres produced by a gamut ranging from finely crafted instruments to kitchen utensils, and hobby-shop paraphernalia.” One of the most fascinating movements is the fourth, which features the marimba and cello in the most intimate duo of interactive musicianship. The appropriate bookends for this concert are two Beethoven chamber works that are equally compact and virtuosic in their own regard. The first is the String Quartet in F minor, Opus 95, also known as Serioso, which Beethoven completed in 1810. Unlike the titanic feel of his late string quartets, the Serioso was composed during a time when Beethoven’s artistic impulses of the moment were rendered in such famous works as his Fifth and Sixth symphonies as well as his piano sonatas and orchestral overtures. The second Beethoven work is the Sextet for Horns and String Quartet, Opus 81b. Here, the music is of a young composer, completed in 1795 when he was 25. It is a magnificent display piece for the two horn soloists who alternate between responding to each other or in unison giving musical feedback to the accompanying string quartet. The work is conceived as a concertante, much like Mozart’s Horn Quintet in E flat Major, K. 407. 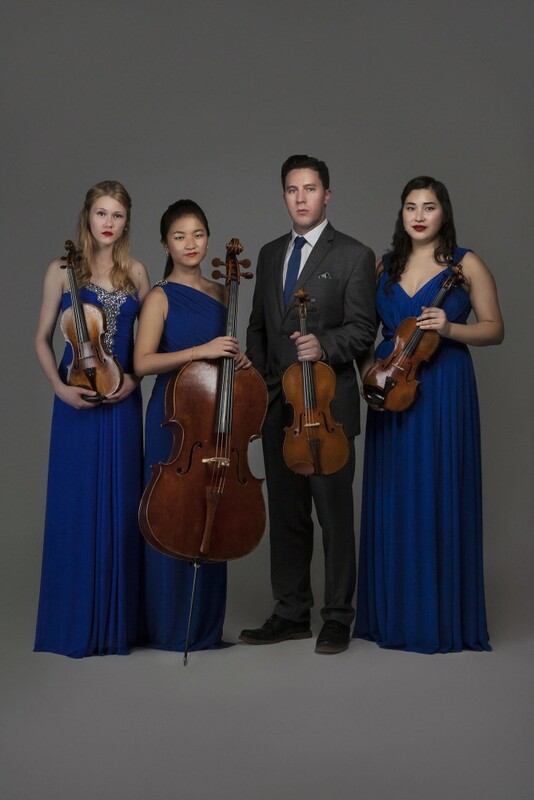 The Ulysses Quartet, with members from the U.S., Canada and Taiwan, has blazed an international path since it was founded a little less than three years ago. In addition to taking top prizes or near-top honors at chamber music competitions, the ensemble has performed across the globe is planning to return to the Louis Moreau Institute in New Orleans, and a residency at L’Archet Concert Series. Based in the Washington Heights neighborhood of New York City, the quartet takes its name from the hero of Homer’s epic poem and the former president Ulysses S. Grant, whose tomb is in nearby Riverside Park. For more information and tickets, see NOVA’s website.